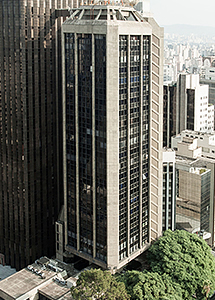 We focus on wholesale banking through our Sao Paulo and Rio de Janeiro offices. MUFG Bank, Ltd. also owns 2.49% in common shares of Banco Bradesco S.A. Through our comprehensive and global financial network, we can provide the highest level of products and services to meet our customers' needs. MUFG Bank, Ltd. in Brazil originated in 1919 as an office of Japan’s Yokohama Specie Bank. In 1996, Banco de Tokyo-Mitsubishi Brasil S/A was formed with the merger of Banco de Tokyo and Banco Mitsubishi Brasilerio. In 2006, after the creation of MUFG, our name changed to Banco MUFG Brasil S.A.